If you would like to contact us regarding your inquiry, please call us on +44 (0)1506 414800, or send us an email via our Contact Form. 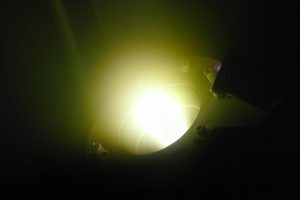 Helia Photonics is a photonics company based in Livingston, Scotland, specialising in the production of thin film coatings on laser facets, free space optics, fibre ends and semiconductor devices. 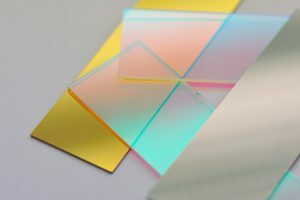 We also provide semiconductor cleaving services, sawing, dicing and polishing services, film deposition photolithography, and laser bar testing (electro-optical testing). In addition to the services we provide, we are proud to be at the forefront of industrial and academic photonics research and development. 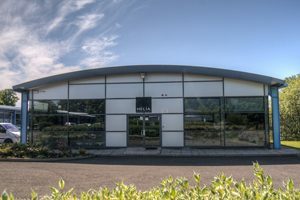 Find out more about Helia Photonics: our history, our workforce, and our partners; as well as our Quality standards and our Terms & Conditions of business. Discover the range of coatings we can provide. From facets to fibres, High Reflection (HR) to Anti Reflection (AR): we provide a comprehensive range of high quality coating services. Explore the range of services we provide in addition to coatings. 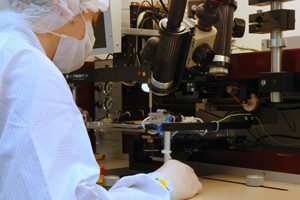 We provide a number of services for both semiconductor devices and optical components. Keep up to date with the latest developments from Helia, and explore our previous projects and publications.